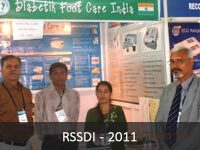 Our products are widely known for their quality as well as performance and have successfully catered to a wide client base. 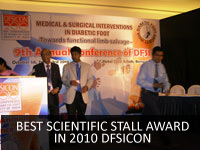 It is our trust for excellence that has made us attain this position. 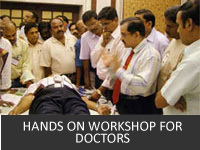 It is the advancement in medical technology that has boosted us to receive worldwide appreciation. 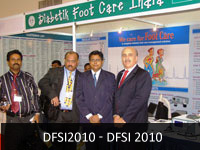 In order to create a distinctive mark in the industry we operate, we have participated in several renowned medical conferences across the globe. 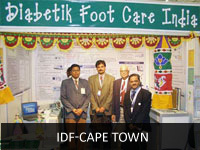 We have participated in the IDF - Cape Town, 19th International World Diabetes Congress during the year 2006 and IDF – Dubai, 20th International World Diabetes Congress during the year 2011. 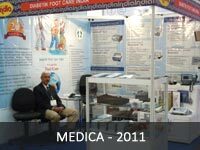 We have participated in the World's largest Medical Equipments Trade Fair, MEDICA in Dusseldorf (Germany) during November 2011. 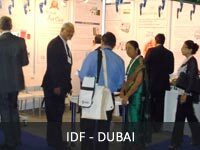 It has given us an opportunity to learn more about the quality and international standardization. 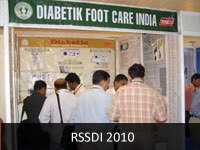 We are regularly participating in the DiabetikFoot Society of India (DFSI) annual conferences, Research Society for the Study of Diabetes in India (RSSDI) annual conferences, Endocrinology Society of India (ESICON) annual conferences and other national conferences.